Every year, more than 10’000 party-loving guests from all over the world travel to the notorious Zrče Beach on the island of Pag in Croatia. For the past 7 years, we have been celebrating Europe’s largest Spring Break Party at Noa Beach Club on Zrče Beach with our guests , which has been voted several times among the top 15 best clubs in the world. The past few years we have celebrated with world-famous DJs like Dimitri Vegas & Like Mike, Alan Walker, Alle Farben and many others. This year, we proudly confirmed superstar-DJs Felix Jaehn and Salvatore Ganacci as our headliners. Our next headliner is none-other than Germany's shootingstar Felix Jaehn. After his world-hit "Ain't Nobody" he is a must on every festival-lineup. His hits like "Hot2Touch" or "Book Of Love" conquered the top-charts all over the continent. In 2019 he will start the Festival-Season with two shows at the first and third weekend of our Spring Break Island Festival! As our first headliner we prouldy confirmed the Swedish superstar! After his spectacular and probably most memorable show at Tomorrowland 2018 you can expect the unexpected at Noa Beach Club from him. Germany's biggest Reggaeton-party is joining us on our third festival-weekend. Get ready to dance to the hottest latin-sounds at Zrce Beach! As the only club in Europe – Noa Beach Club is built on the sea. Not many clubs can brag with its long stay among world's top 20 clubs. DJs such as Steve Aoki, Robin Schulz, Calvin Harris and many more are performing in the hottest club on Zrće Beach year by year. ROCKS Beach Club, directly located at NOA Beach is designed like the legendary "Ushuaia" with tiny pools by the dancefloor. At Spring Break Island, our 2nd Floor will be at this location and for example our DJ-Contest will take place there. Enjoy the sun and increase your crazy festival experience with activities like banana-boat, bungee jumping, jetski or try yourself at Croatia’s largest wakeboard facility. Adrenaline-kick is guaranteed! Spring Break Island takes the word “party” in a totally different dimension. Not only that you’ll experience the wildest parties during the night but you will taste the explosion of fun also during the day at the after beach arena. Every day a new highlight - no matter if the hottest foam-parties or holi-color-explosion, AfterBeach Arena at NOA Beach Club is open from the early afternoon for you! And guess what, you can jump into the sea directly from the club to cool down after dancing hot! Make your festival experience even more festive and join us for the absolute highlight of Spring Break Island – Boat party. 3 hour long smooth ride along the Adriatic coast with free wine and beer and wicked tunes from resident DJs! Become the next DJ-superstar! Submit your mixtape now for our 2019 Spring Break Island DJ-Contest and get your chance to play at one of our stages! The basics you need for your party trip. Spacious apartments with modern equipment. 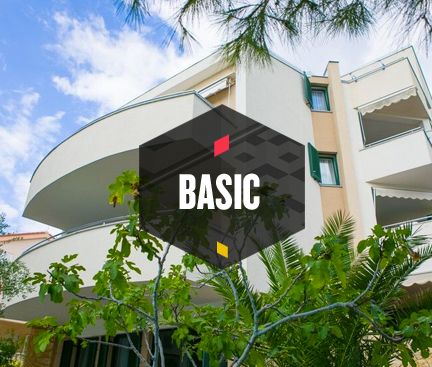 High-Class apartments with free wifi and air conditioning. The VIP ticket gives you access to the exclusive VIP Area at Noa Beach Club. Also your check-in experience will be faster since you can use the speed check-in line. On the approximately 3 hour boat party along the beautiful Adriatic coast you can expect hot beats, refreshing bathing stop, cool drinks for free and lots of fun. The shuttle bus operates by day and by night. It takes you from the center of Novalja several times per hour directly to Zrce Beach and back again. We offer you different travel options from all over Europe. The easiest way is to start with the bus from one of our many departures cities and get directly to the check-in on Island of Pag. If you decide to travel by plane, you can book one of our airport shuttles. 3 nights are not enough for you – of course you can extend your holiday. Simply select a different arrival or departure date when booking. Novalja is the second largest town on the island and self-proclaimed party destination. Located in the immediate vicinity of Zrce Beach. Novalja offers tourists a wide chose of apartments and hotels. Zrce Beach is Europe’s largest party beach and the home of four of the world’s best clubs. In addition to clubs and numerous bars, it offers many other activities such as jet-skiing, bungee jumping or banana boat driving. All four clubs on Zrce Beach are open air and in the top 40 of the prestigious DJ Mag Club Voting. They open daily in the afternoon for the free after-beach party and offer you the opportunity to celebrate the next day’s sunrise. Die Adria gilt aufgrund des kristallklaren blauen Wassers als Karibik Europas. Rund um die Insel Pag befinden sich versteckte Buchten die zum Schwimmen und Schnorcheln einladen.